Regardless of whether your home is new or old, there will undoubtedly be a time when updating the flooring you have is necessary. At AC Installations, we have the experience and expertise to help change the flooring in your home to something fresh and new, changing the look of your home entirely and adding value to your property. In addition to our expertise at fitting bathrooms and kitchens, our 20 years in the home renovations industry has ensured that we possess the skills necessary to fit flooring professionally. 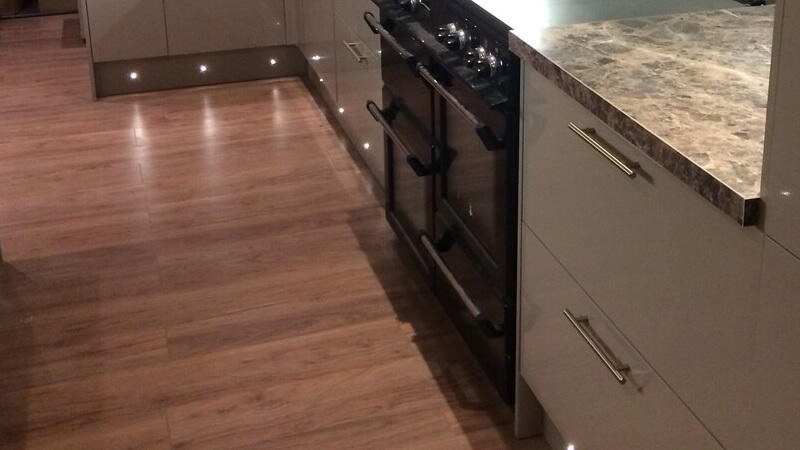 Whether you’re looking for floor tiling for your kitchen or bathroom, wooden floorboards throughout your home, or even the addition of laminate flooring, we will be happy to help. High-quality flooring is essential to any home, playing an integral role in the heating and comfort of the property. As such, being able to install quality flooring that complements the aesthetics of your home without compromising on price is fundamental. With AC Installations, we can offer competitively priced flooring services for your home, complete with a professional and stylish finish. What’s more, we even have the ability to install under floor heating, thereby ensuring that comfort throughout your home is complete. The experience and reputation of AC Installations are among the finest in Maidstone and across Kent. Regardless of your flooring needs, we will be able to work alongside you in transforming the look of your home with stylish, contemporary flooring. Simply contact us today on 07718622940 and we’ll be happy to offer a complete appraisal and quotation for your flooring needs.